There are many different Tribes in North America with many different cultures and dances specific to their region and culture. This is much like the differences you would find in Europe. 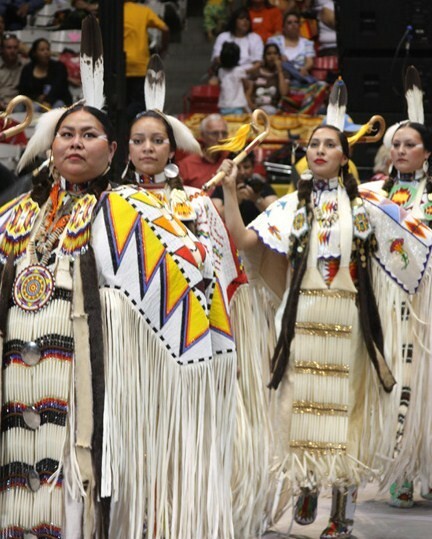 There is no one dance that applies to all Native American people. 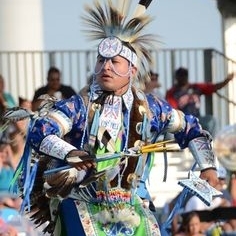 When thinking about authentic Native American dances most people would think of the pow wow dances. This is due to the fact that despite this not being every tribes traditional dance it is still the most wide spread set of dance styles. For that reason this is the most common type of dances you will see. However this is also very diverse. Below are the difference dances and the sub classes of these dances. Each one of these categories can be split into sub classes or old style and contemporary. 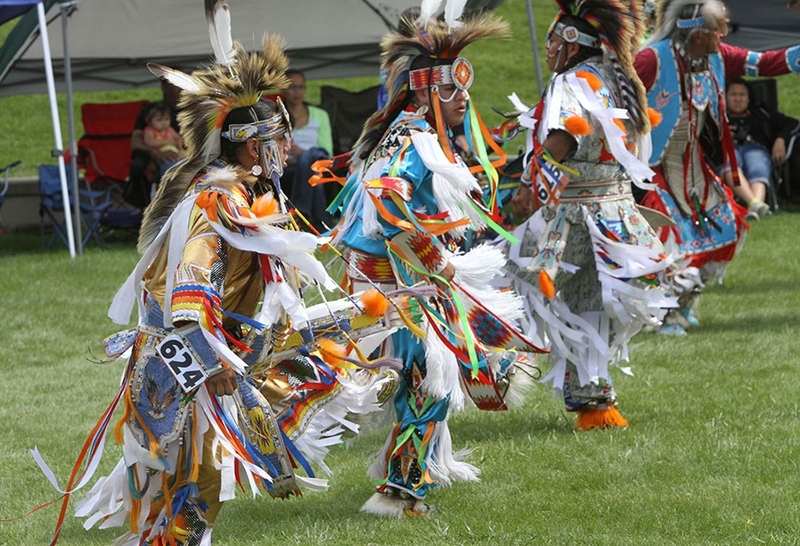 In addition, at a pow wow each categories will be split into age groups. Finally most dances can also be broken down into southern and northern styles as well. So these dance styles can be broken into 28 difference sub-categories and 6 different age groups. Even still this is only a small fraction of the enormous number of different dances that are part of the many different Native American cultures in North America. The dancers also spend a life time perfecting these dances. The children begin their learning soon as they are able to walk and will not be recognized as an expert likely until their mid to late twenties. 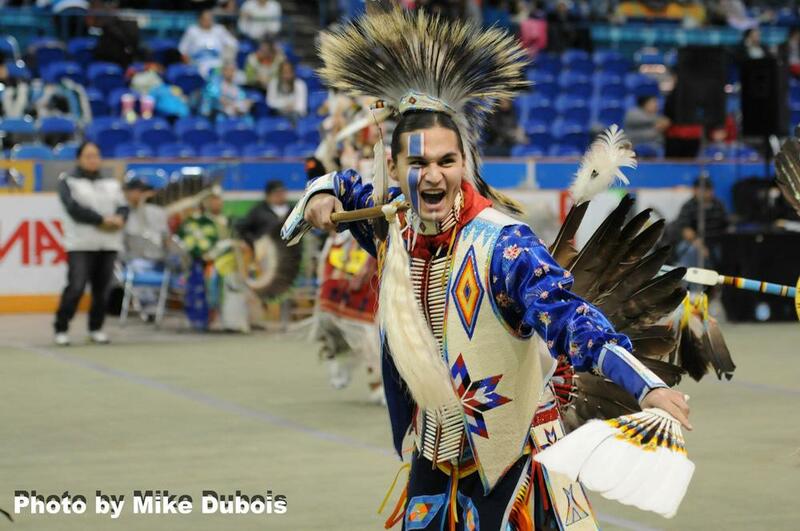 It will likely take two decades for each dancer to learn every aspect of their specific dance style and the pow wow culture itself. Mens Traditional - This is one of the oldest mens styles. It is recognizable by the single bustle. These dancers are representative of warriors and will often carry items like spears, axes and shields. While they dance they are often telling stories through the dance of a hunt of a battle. Chicken Dance - The chicken dance resembles the traditional dance in regalia however it is more minimalistic and has a very distinct dance style. The dancers will carry different items like small hoops, mirrors, or fans while they dance. They mimic the mating dances of the prairie chickens. This makes it an extremely entertaining dance. Grass Dance - The Grass dance is recognizable by their regalia that has yarn, or ribbon the streams down across their entire bodies. The dancers often mimic the flow of grass. This is a dance that originates from an ancient dance society. They were originally the first dancers to dance at any celebration as they would bless the dance area and flatten the grass. Fancy Feather - This is one of the most excited dances because it's intense speed and energy. The dancers dance as fast as possible and create very elaborate movements. Their regalia is characterized by double bustles and very bright colors. They are often representative of the speed and energy of horses. Women's Traditional - This is the oldest of the women's dances. They represent the poise, respect, honor, and pride of women of the past and present. The dancers will often have the most elaborate bead work. They dance very proud and steady. Some dancers will dance in one spot while others will travel very slowly across the dance area. Jingle Dress - This dance is characterized by the metal cones on their dresses. These cones bang together making the signature "jingle" sound that the dance is named after. This is considered a healing dance. They dancers demonstrate poise through a strong and proud posture while dancing. The intricacy of this dance is demonstrated through the fancy movements made by the dancers feet while still holding a poised posture. Fancy Shawl - This dance is recognized by the colorful designs and ribbons. They dancers wear a large shawl over their shoulders. It is very graceful but also very fast. The dancers are supposed to be fast but also as graceful as a buttery making them look like they float across the dance area. 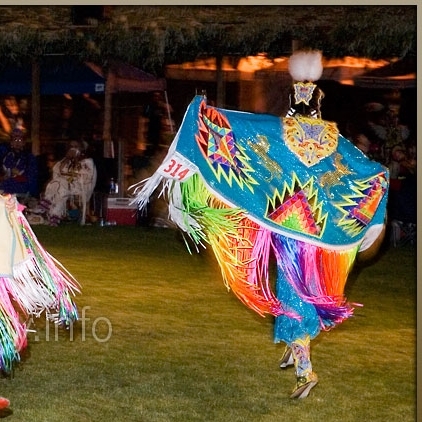 These are only a few examples of the many dances that are performed throughout North America. There are many more, however because they are often more regionally specific they are not as wide spread.